My disciplinary training is in literary theory, and I have long been puzzled by a tendencyI see working in that domain of scholarship. Namely, while so much of the field has been influenced by what many—myself included—see as important poststructuralist intellectual moves, I nonetheless keep coming across analyses by prominent scholars that focus on “authenticity” in one manner or other. 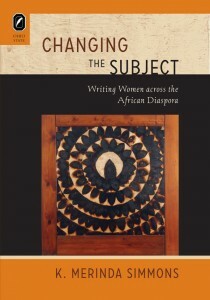 This seems an especially noticeable phenomenon within scholarship on texts deemed marginalized—and, as my data set when I began the work that would ultimately become this book was comprised of narratives by women of various African diasporas, I decided to delve into how and why the emphasis on something called authenticity appears in the criticism surrounding these texts. 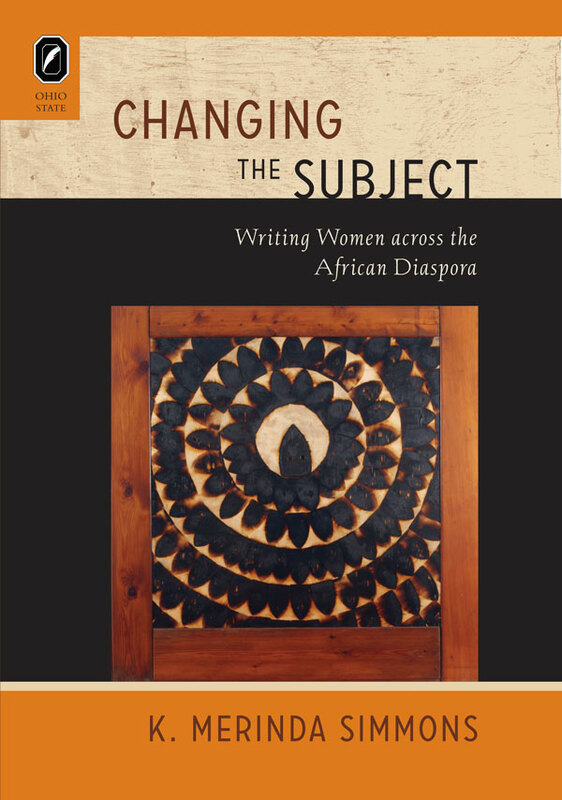 The data being engaged in the book are first-person narratives (one slave narrative and three novels) in which women confront histories or experiences of slavery as they move from place to place. I find this data set constructive inasmuch as it highlights a tension surrounding notions of authenticity. On one hand, so much of the criticism dealing with these texts talks categorically about the authentic voice of this or that protagonist, the authentic feminist quest or heroine being presented, etc. What’s more, the texts themselves engage in some of that same emphasis, with talk about being “real” and returns home. On the other hand, however, these narratives (in my readings, at least) present authenticity as a reflection of whomever is using the term. 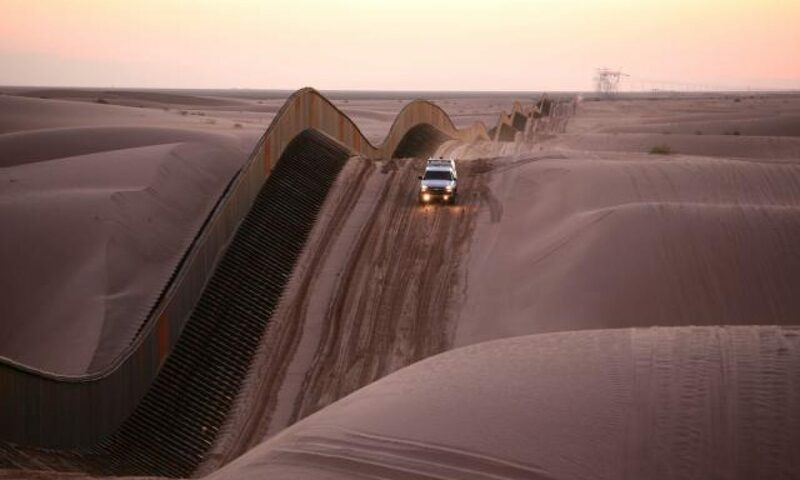 The contexts of migration really underscore this idea, as “home” is cast as an ever-shifting mark, and various identifications (I focus on those of gender and labor primarily) change dramatically with the geosocial spaces the protagonists encounter. In the Introduction – you begin with this story that entails the complexity of history, memory, marking and commemorating certain sites (in this case, the lives and deaths of Jack Rudolph and William “Boysey” Brown), in particular, the role of slave labor at the University of Alabama, Tuscaloosa, bringing us the to the rub that “Scholars attempt to offer a history of this or that, pretending that they can stand removed and apart from the particular curiosities and expectations they bring to a text or community… there is implicitly present the idea that these texts or communities are ‘things in themselves,’ as if they exist nondiscursively or as a priori subjects.” Unpack for us what sorts of “phenomenological descriptive efforts” you see at work in such thinking and how such efforts are challenged in this text. Commemorative and memorial sites are such a useful case study for me. With Southern Studies as one piece of my scholarly armature, I am especially interested in how a group or region comes to be historicized by the people who study it. When an event or person is memorialized, though, there is a lovely example of just how complicated historicizing processes are. Present in that historical marker or commemorative event are multiple—and often dueling—narratives. On its face, of course, there is being described “the thing that happened” or “the people who lived.” But that description hardly falls from the sky with neutral objectivity in tow. All sorts of efforts are involved with a “simple” recognition—or, more aptly, rendering. Take that example you mention of the unmarked slave graves. That marker was part of a larger apology issued by the Faculty Senate on behalf of the University of Alabama for the roles slavery played in the institution’s founding and early years—an apology that came only in 2004, more than a century and a half after the deaths of Rudolph and Brown. You might imagine what kinds of discussions must have gone into the decisions of what exact language to use on a small plaque that is supposed to navigate complex layers of history, social rank and expectations, and economic structures dominating the mid-19th South. As such, memorials explode rather easily, to my mind, notions about authenticity or getting the “real” story about something. I wrote a post for our blog about these very issues, using the Foster Auditorium commemoration that took place a few years back. Because of the relatively quick manner in which I find historical markers to reveal themselves as narrative exercises, I am perpetually surprised at how insistent scholars are at “grounding” their analyses in descriptive accounts amounting to a sort of ethnographic exegesis. Many do so in the name of pursuing a new materialism that supposedly helps us keep focus on the so-called real world. In the domain of religious studies, I see this same thing happening in discussions of “material religion” or “lived religion.” The political progressivism with which such discussions are charged ironically gives way to phenomenological accounts wherein authority and experience are largely interchanged. I try to challenge such approaches in the book through collapsing the boundary often drawn between “text” and “context.” If we begin looking at text as context and vice versa, I think the metanarratives full of all the actors and interests engineering what ultimately becomes known as a “first-hand account” or “personal experience” become far more apparent. We spend quite a bit of time here at the Edge discussing notions like diaspora, origins, and so on – how did you tackle and approach the concept of “African Diaspora” in this work? I see “the African diaspora” as a rhetorical tool that scholars utilize in different contexts as it suits their purposes. The classification does not easily or categorically apply to a cohesive set of people, things, or events. And yet, it is often applied in exactly that manner. Namely, I find discussions of something called the African diaspora generally to have nostalgic underpinnings. Even when scholars recognize the range of languages, economies, political systems, etc., which comprise the continent, they nonetheless too often discuss “the diaspora” as a certain kind of collective with easily identifiable interests and origins. Or, if using the capitalized “Diaspora,” the proper noun implicitly signifies a specific community. I think one important reason for this is that, alongside “Africa” as a signifier, there are often placed concepts of homeland or point of origin, perhaps in hopes of offering scattered populations a sort of cultural cosmogony. It is no wonder, then, that so many studies for which the transatlantic slave trade serves as data have as their critical framework psychoanalysis, focusing on trauma, what was lost or retained in the Middle Passage, and so forth. One of the things that strikes me about the narratives I discuss in the book is the ambiguity, as I read it, of the “home” designation in each text. Plenty of literary critics would disagree, of course, and I highlight some of the scholarly renderings of the texts that I find reductive, casting the stories in traditional archetypes: loss and recuperation, exile and return, diaspora and homeland. But to my mind, the narratives raise far more questions than they answer about these classifications. So, my own approach to the notion of diaspora in the book is one in which I look at the migrations from place to place as illustrative of the impossible endgame of authenticity. Besides, what community is not a diaspora in one way or another? In that manner, discussions of diaspora and the groups to which scholars apply the term is what I take up in the book rather than attempting to get at some better or more accurate (one might say authentic?) way of talking about that designation. Slave narratives have long been a productively troubling literary genre for me. I say “troubling” because of the seeming ambivalence scholars have when talking about them—there being great consequence, typically, in choosing whether to discuss these narratives as historical document or literary artifact. My own approach suggests any difference between these two categories as being the result of scholarly interest rather than descriptive fact of the matter. Scholars typically treat slave narratives as historical ends in themselves, each giving us the first-hand account of an experience as someone lived it. I find traditional readings of slave narratives in this vein of criticism to entertain many of the same problematic elements, in fact, as descriptive ethnographies and other postcolonial efforts in the study of religion. Namely, the degree to which scholars legitimize and allocate authority to a participant insider’s “voice” too often goes unanalyzed. The result is that the rhetoric of “recuperating” a voice deemed marginalized is kept alive and well. In the context of slave narratives, this tends toward an intellectual extrapolation with which I am exceedingly uncomfortable. Specific to my own discussion of Mary Prince’s 1831 narrative, there are numerous readings that use Prince’s account to make broad claims about slavery in the Caribbean as some sort of cohesive entity, or slave women as a certain kind of collective. However, slave narratives seem to me to be a perfect example of the literary considerations of histories and of how quickly the artificial boundary that is often drawn between “text” and “context” falls apart. experiential-authenticity guidepost of literary criticism. It seems to me that we have to assume a great many things in order to talk casually about Prince’s text being “her” narrative. An incorporation of autobiography theory is one method I use in the book of highlighting first-person accounts (all of the books I use are written in the first person, though Prince’s History is the only text falling into the genre of slave narrative I discuss) as artifacts of local interests and contextual boundaries. Not unlike the dubious privilege present in the commemorative site identifying the unmarked graves of Jack Rudolph and Boysey Brown—so many others were not buried in the first place, after all—there are complex layers of politics and social maneuverings that resulted in certain slave experiences (far and away a minority) being recounted and published. Rather than this resulting in scholarly renderings of these texts as recuperative and representative of a larger population, I think it should instead result in our thinking critically about the genre of “autobiography” and in a willingness to untether it from a misguided notion of historical or experiential authenticity. You also have a forthcoming volume with Houston Baker on The Trouble with Post-Blackness – what sort of work are you and Baker up to here – what’s next? In what ways does it build on Changing the Subject, and in what ways does it depart? My colleague Houston Baker (Vanderbilt University) and I recently finished editing the volume you mention, and it’s forthcoming from Columbia University Press. It began as a conversation between him and me about our mutual frustration with the idea of “post-blackness,” a notion touted most famously by the popular essayist Touré in his 2011 book Who’s Afraid of Post-Blackness? : What It Means to Be Black Now. Post-blackness advocates begin with the suggestion that there is no one authentic way to “be black”—a claim with which I certainly agree! However, Touré’s attempt to dispel the myth of an essence to blackness nonetheless does so through well-worn authenticity claims. To put it another way, Touré seems to suggest that there is no one right way to perform blackness because blackness is something internal and experiential and its manifestation will thus depend on the individual. The idea of manifestation is key here, as it maintains the old logic wherein blackness is what one is, even while there may be myriad ways to express it. Blackness, in this sense, is used much like the term “religion” for many scholars who, despite pressing issues of performance and social construction, keep up and running traditional definitions that see these tropes as experiential qualities locked deep within the individual. I see a similar intellectual pattern in Changing the Subject—one that locates authenticity claims in work by scholars who identify as avidly anti-essentialist. I think revealing just how easy it can be for thinkers to fall into the authenticity trap despite their own best rhetorical efforts is an important project for as long as scholars think that knowing the rules of post-structuralism gives license to break them. The co-edited collection, of course, departs from my own work in a couple of ways. First, its data is a contemporary “public intellectual” and, as such, it navigates a different kind of discussion about race and politics. Interesting to me is that the ways in which an inherent and transcendent mode of blackness seems to function similarly—with emphases on “lived experience” and identity (rather than the focus for us at Culture on the Edge, for example, on identification)—in both popular media contexts and academic ones. Second, the collection includes multiple players who come at this data from sundry angles. The consistent thesis, then, is not a common line of argumentation shared by all the contributors but is rather the claim that the notion of post-blackness is one that can be problematized in a lot of different ways. Baker and I saw the book as setting a table at which scholars and writers representing a variety of genres and perspectives could talk about “the trouble with post-blackness.” Different contributors identify different—and at times competing—problems, to be sure, but it’s an important place to begin. I present my own take on the issue in the introduction to the collection. As for what’s next, most directly related to this line of inquiry where identifications of race and diaspora are concerned, I am co-editing a volume with—why, you, Monica!—on the concept of “code-switching” that we’ve been discussing in various ways here in Culture on the Edge. I’m also setting to work on another monograph, this time taking up the scholarly category “slave religion”—another organizing tool that I think has far more to do with the thinkers utilizing it than with the supposed phenomena to which it is applied.